First a word of warning, this module is still in an early development stage, so please only use in your test environment. And definitely provide feedback in the form of issues and suggestions. The use of the LogInsight module is quite simple, there are in fact only 3 cmdlets you should use. Connect-LogInsight: this cmdlet will allow you to connect to your Log Insight server. This is the most simple way to retrieve events from the Log Insight server. Since there are no constraints, all events will be returned, within the limitations of the API. The result looks something like this. As a side note, the objects that are returned by the Get-LogInsightEvent cmdlet, contain more information than just the event text. There is also an indication if the query actually completed within the default timeout interval. On each query you can specify one or more “constraints”. In other words, you specify some conditions, and only the events that comply with these conditions will be returned. To make the creation of these constraints easier, the cmdlet Get-LogInsightConstraint is available. It takes three parameters, a field, an operator and a value. In the previous code the constraint says the hostname shall start with the string “esx1“. 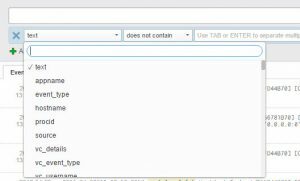 The Field parameter can take any of the field names that you see in the query builder in the Log Insight console. Notice how we also limit the returned number of events to 100 with the Limit parameter. You can combine constraints, for that you just need to add all your constraints to an array. Which results in just one event in my test lab. This feature allows running aggregate functions against fields which are returned in time-based fixed-width bins. It sounds more complex than it is. This will return the COUNT of events in each bin, and a bin has the default width of 5000 milliseconds. Note that we can use the same constraints we used before to retrieve the events. There are other aggregate functions available. An interesting one is the SAMPLE function. This LogInsight module is still in the early stages of development. There are tons of improvements and additions that I have in mind, but I’m also counting on feedback from the Community to prioritise my work on the module. And since the module is on GitHub, feel free to pull and improve. The module is available in the PSGallery. I have the same error message. Using powershell v5 now. Any ideas for this kind of error message. Drop me an email, I have a newer version of the module that you could try. It looks as if the connection fails. And my code doesn’t seem to do a good job of extracting the status code (hence the error). I’ll check if I can improve the error return from the connection. Property ‘DontShow’ cannot be found for type ‘System.Management.Automation.ParameterAttribute’. The DontShow parameter attribute was introduced in PowerShell v4. Or you leave it out, won’t have any effect, or you upgrade your PowerShell version, which I would advise. well… I had to run it with $Debugpreferences=”Continue”. That’s when I replaced the certificate, and all when’t well :-)… looking forward to see this module grow…. I’ll see if I can update the code to intercept that situation. I got it to work…. but found out it doesn’t work with a self-signed certificate…. Strange, I have it working with a self-signed certificate in my lab. Sorry to resurrect an old thread, but I am seeing the same error and may have some info to help. We are using a self-signed cert, but even after adding it to the Trusted Root CA store, IE still complains that the address doesn’t match. This is accurate because the CN = “VMware vCenter log Insight”. Does the self-signed cert in your lab match the server name? We will try a proper cert but maybe not for some time, is there any way to bypass the error? Thanks!